Faculty and Staff members seeking assistance with their RIT owned work computer should contact the ITS Service Desk or their local IT support personnel. Our service model has recently changed. Faculty, Staff, and Retirees seeking repair and support for personally owned equipment must go through Digital Den. This requires an active service plan. Any replacement parts, software, or other components are to be purchased by the customer, invoices for needed items will be provided by ITS Resnet and can be purchased online or at the RIT Digital Den. 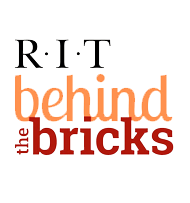 You can read more about our services here or at the RIT Digital Den. The following services require either a service plan or one-time purchase. Service plans may be purchased online at the RIT Digital Den. Resnet does not support or install pirated (illegally obtained) software. Any licensed software must have the original product key and packaging in order for Resnet to be able to install it.